At Umnitza, our focus is to ensure you are not among the very few people that we help that are dissatisfied with our product or service. However, to ensure this satisfaction, we need to make sure that every customer is handled with equality and consistency. We have compiled a very extensive list of terms and conditions below, with links, addresses, information, and step-by-step guides to processing any issues you have. In the unlikely event that you are not completely satisfied, and all options have been explored, you can return the product for refund. Opened or Unopened – 20%-30% restocking fee (a restocking fee is charged due to several factors including but not limited to: examination, reconditioning, repair, packaging, amount of support offered, etc. Custom headlights are not refundable once received (this includes Projectors, Custom Paint, Custom Angel Eyes Installations) no exceptions. Returned parts must be in clean, unused, original condition, packed in the manufacturers original packaging, and received by Umnitza within 30 days of purchase of merchandise. No returns 30 days from purchase of product. Store credit is available on a case by case basis after 60 days (store credit up to 12 months from date of purchase). No Exceptions. No return will be accepted without proof of purchase of date of sale. We will inspect all items before a refund is issued. No COD refunds accepted. All returns must have a signature confirmation. No returns will be accepted without prior authorization! If you require a warranty part, we are not responsible for the cost associated with a repair of a warranty item. If a shipment is missing any parts, the customer must notify Umnitza no later than 5 business days from date of receipt.Customer is responsible for replacing all missing parts after 5 days unless prior arrangements are made. If you are shipping to the a third part (friend, alternate address, body/repair facility, etc.) the parts must be accounted for at the time of receipt by that party. You can expect to receive your refund within four weeks of shipping your package back to us. In many cases you will receive a refund sooner, but we estimate four weeks because of the time required for return shipping (up to 14 days), product inspection at our returns facility (up to 5 business days), and processing from your bank or credit card company (up to 5 business days). We will notify you via email with the details of your refund, and issue your refund in the form of payment used to make your purchase or paypal (Umnitza does not use company checks for refunds). Upon arrival at the Umnitza warehouse all returned items are inspected. You will be refunded the full cost of the merchandise and all original shipping charges if your return is a result of our error. Electronics (including LED bulbs or tails) returns must be initiated within 30 days of the purchase date, not delivery unless previous arrangements have been made. The items must arrive at our warehouse within 30 days of purchase. You must return items in their original condition to qualify for a full refund. We will issue a partial refund of up to 70 percent if returned items have been opened, used, or returned late. We may reduce your refund by the amount of the original shipping charge plus actual return shipping fees unless the return is due to Umnitza’s error. Bumpers/Body Parts are not returnable once the part is painted or modified to accept external parts (lips, diffusers, etc.) We reserve the right to make product specific return policy adjustments to this section if the part shipped warrants it. It is the responsibility of the buyer to pay return shipping if they wish to return a bumper. All painted body parts are FOB origin at the time of pick up by freight company. If you suspect damage to the shipment, do not open the packaging and notify us at the time of delivery. Always provide proof of shipping damage prior to processing any claims. Insurance must be purchased for painted bumpers at the time of purchase. When packages appear damaged on arrival, state condition of the container over your signature on the receipt. If you discover a damaged part after opening the package, notify the carrier immediately. We provide properly packaged contents at the time of carrier pickup. Please inspect the items upon delivery. If an item shows delivered and you cannot locate it, we are not responsible for theft from the destination. Direct claims to the carrier. We package ALL products at the utmost care. It is the responsibility of the customer to request insurance of product at the time of purchase. We are not responsible for broken shipments where insurance is not selected or requested at the time of the shipment. If a shipment arrives damaged and you have no selected insurance, you are responsible for the cost of the damaged replacement part. Please contact us via email within 48 hours if you are missing items or the order is incomplete. Requests after 48 hours are null and void post delivery. Please contact us if you wish to add insurance to your order. It is the responsibility of the customer to see that the use of their vehicle and items purchased comply with federal, state, and local regulations. If you are unsure about an items legality or road worthiness, please contact us immediately for verification. All products are shipped FedEx Ground, USPS Priority Mail, RL Carriers, Pilot Freight, Vision Express, or GPX (Greyhound Package Express) unless otherwise pre-approved in advance. All products shipments are with signature confirmation, home delivery, and non-insured. USPS is used exclusively for APO/Military Shipments and overseas shipments under 30lbs. If you would like insurance, please contact us PRIOR TO SHIPPING THE ITEM. We are not responsible for any items shipped without insurance that may be damaged by the carrier if insurance has not been purchased prior to shipping acceptance by shipping company. We are not responsible for theft of delivered items. Please contact us if you would like insurance added to the product or paypal@umnitza.com and send $5 for every $300 for your product insurance needs. All bumper shipments - including side skirts, some front lip spoilers, and some other body parts - are shipped using GPX (Greyhound Package Express Only) or other FREIGHT CARRIER ONLY! Please contact CONTACT US immediately to set up a return for an Oversized-Item. 1) You can pick up ANY time that is convenient for you. Most places are 24 hours open. 2) You can choose where to pick it up, next to your work? or home? Or friend’s home? Anything that is convenient for you, with most Greyhound stations only 1-10 miles away. 4) You get detailed exact tracking – just call with the provided GLI number and they’ll be able to tell you where the package is at all hours of the day. **By purchasing an oversized product, you authorize Umntiza.com and/or its Carriers to assess additional fees to your credit card as necessary according to the fee schedule described here. We may deduct original and return shipping costs from your refund or otherwise charge them to your credit card after the product is returned. 5) GPX does not do cross border shipping to Canada - even though Canada has a Greyhound service, they are not set up to handle the customs interchange at the border. Your shipment, if you are in Canada will be shipped using the closest station in the US nearest to the border. Alternatively, we can ship your items using Fedex to Canada, however the cost is different and is done on a case by case bases. 6) USPS is not used for any bumper shipments unless within USPS dimensional guidelines for the specific country's accepted size/dimension requirements. USPS shipmnts will incure an oversized charge if dimensions are within guidelines but do not exceed them. All shipments of Express will be reviewed and shipped to the billing address only. If you need to make special arrangements for another address for an express shipment, please call our phone number to validate your identity. If your shipment is destined towards a different SHIP TO address than the BILL TO address, the names must match and that ship to address must be already added to the credit card as an approved SHIP TO address. We reserve the right to ship to BILL TO addresses on all shipments. All shipment requests to non-billing addresses must be made via email and the shipped to address must be added to the credit card information as a validated address. Shipment costs paid on the site may not reflect actual cost of shipping and handling the item. Handling fees not listed on the site's order page may include but are not limited to: extra packaging, courier delivery fee, extended processing/counter fees, insurance, and or online vs counter fees charged. The email is a notification of shipment. All notifications of shipment indicate that the shipment will be mailed within 24-96 hours of creation date, excluding national holidays. The delivery confirmation number is not a tracking number on USPS but may offer some information from time to time. However, it does not allow the user to monitor shipment status in real time. Only Express Mail status numbers can be used to monitor shipment status. Please do not contact the USPS to request status using the provided Delivery Confirmation numbers. You can request status from the USPS by calling 1-800-Ask-USPS for Express Mail orders only. Global Priority, Global Airmail Parcel Post, First Class, and Priority Mail shipments cannot be monitored/tracked using the number provided herein. If you did not choose insurance and the package is lost internationally, we will not be able to assist you beyond what the USPS system can do for you. All parts are guaranteed to be first quality merchandise. No warranty is expressed or implied if the customer incurs damage due to improper installation techniques or abuse of the product. All special order parts, parts not available on the site and custom designed, and other types of specialty items are not returnable or refundable once the order is placed. Customers assume all liability and risk when using high performance products. There is no warranty, expressed or implied for any parts used during competition, track, AutoX, and/or driving school events. Warranty is non-transferable to non-original purchasers. Should a product not meet your expectations and you wish to file a dispute, all communication will continue through the intermediary dispute party. No warranty is offered on electrical parts, unless they are defective within 30 days of purchase. No warranty on custom parts. Please inquire if the electrical/custom parts you purchased may have a different warranty. Within 30 days are free replacement and free shipping to 48 Contiguous US States. Outside the US, shipping charges will apply, but the product replacement is free. Please contact us for your country shipping charge. After 30 days, $10 shipping and handling for Angel Eyes Products, $35 for International (non-48 states US). This is best done using paypal method or by clicking this link: Alternatively, if you live within the proximity of our store, there is no shipping and handling charge for warranty items. After 30 days on Xenon or like products, we will require one of three things to happen - customer must send back the original part for testing, or, customer must agree to a deposit to insure return of defective part, or customer must send back all parts. Warranty valid for original purchaser only. Warranty for any and all products ranging from 30 days to Lifetime are good for the original purchaser for the product with the original purchase receipt only and only applicable if the receipt/invoice is part of the original email or written receipt proffered at the time of purchase. Any work performed as an install service is warranted for 60 days from date of install, unless otherwise noted on the receipt. Any install issue can be refunded a maximum of the total of the install fee performed. Customer is responsible for all shipping charges for returned to Umnitza - warranty, refund, or replacement. Umnitza will pay shipping to the customer if the product is defective or under the applicable warranty guidelines. The warranty expressed herein will not and does not protect you from Acts of God, normal wear and tear, or damage caused by natural or unnatural weather related disasters, collision, or engine failure. 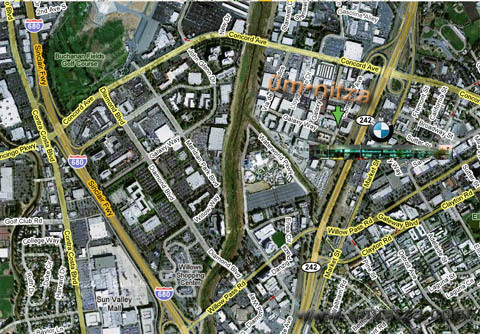 Umnitza provides no warranty coverage for you, your car, or any other associated items for damages to and/or failure of any non-Umnitza components on a vehicle, including though not limited to engine/components, electrical systems, light control modules, headlights, or any surrounding components. Any and all installation work performed is subject to the same terms and conditions set forth herein unless otherwise agreed to in advance with the customer. All installation work is limited to 30 days guarantee. Any damage, failure, re-installation, installation, or other work required from Umnitza for the customer will be billed at 75/hr past the 30 days. All work is warranted for 60 days from date of install, not date of receipt of product. We reserve the right to replace any lifetime warranty product with a similar functioning or looking product. If a similar or like product is not available at the time of repair/replacement, a new unit will be sent as a replacement of the original part. We reserve the right to attempt a repair on your item prior to any replacement. If a repair cannot be performed, we will replace the product. The substituted unit will perform either at the same or higher level than the original. Please be aware some products that were originally lifetime warranty products may at some point have become obsolete. We will do our best to accomodate an exchange for you to a newer equal value product with a small upgrade few in most cases. Several products carry a manufacturer's warranty. All parts with the exception of electrical, high performance and products already carrying their own warranty will be warranted for 1 month or 1000 miles. Some parts will reqiure up to 20 days to build and assemble. This may be due to a variety of reasons - custom parts, custom work, etc. We hope that every product you receive arrives with all the parts necessary to fully assemble your product. Should you discover that a part is missing, please review your assembly instructions to locate the missing part number needed, and click here to contact us. You have 15 days to let us know of a missing parts. We are not responsible for theft at the destination address. If you receive a gift purchased from Umnitza, you may return the gift and a credit (up to 12 months) will be issued to the original purchaser’s account. Your item must be eligible for return and must be initiated and received back in our warehouse within the timeframe stated in our Standard Return Policy. Gift recipients may only initiate a return if their name appears on the shipping address of the order. If your name is not listed on the order, then we recommend contacting the gift giver so they may initiate the return. All refunds will be issued to the original purchaser’s account in the original form of payment.